Messy Eaters– Whether you have extra kids running around or adults who like to load up their plates and eat in front of the TV, chances are during the holiday season your floors saw more spill action than normal. Whether you have stains from cranberry sauce, gravy, eggnog or anything else that may have made it into your carpet, carpet steam cleaning can help. 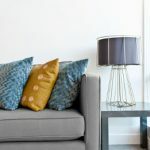 Shoes, Shoes, Shoes– Unless you have a strict ‘no-shoes-in-the-house-policy,’ your home probably saw a lot more foot traffic than usual as well. Keeping shoes on in the house tracks in all kinds of dirt, mud, grease and oils that are then spread onto your carpet. 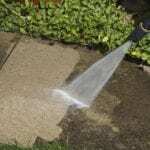 Avoid Odors– When was the last time you had a carpet steam cleaning? If it’s been awhile, you may begin to notice an unpleasant smell coming from the carpet, especially after a bustling holiday season. If you’ve had added guests, spills, shoes on in the house, pets and kids running around, and it smells in your home, your carpet may be asking you to be cleaned. 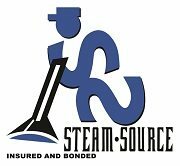 At Steam Source, we are committed to providing your home with a cleaner, healthier and more beautiful environment. 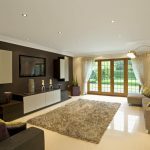 We also emphasize educating our clients on how to properly care for their carpet, tile and other surfaces through proper cleaning and maintenance. If you are ready to make your carpet look new again, call our professional Steam Source team to schedule your carpet steam cleaning today!